The U.S. Army built this airfield in early 1943. Established on 3 December 1943, NAF Sao Luiz was one of the smaller bases used in the ASW campaign against the German U-boats off the coast of Brazil. 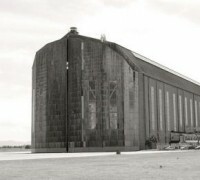 It shared a portion of the Army airfield and provided ground support facilities for up to six landplanes and a detachment from a blimp squadron. The NAF portion of the field was disestablished on 5 July 1945, and both the Army and Navy sections were returned to Brazilian control in late 1945. 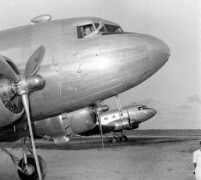 The airfields that Pan American constructed in northern Brazil formed, with the Caribbean bases, an essential link in the South Atlantic air ferry route. Construction began at Amapa,Belem, and Sao Luis in the underdeveloped regions near the mouth of the Amazon River, in the spring of 1941. At Sao Luis, teams of oxen hauled away uprooted trees and 1,000 burros carried off dirt in raffia panniers. Aerial view of the main 6,000 foot runway at São Luiz. 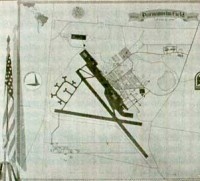 A secondary runway was paved in 1943. São Luiz was a secondary airbase but several squadrons operated there for the entire war period.